Not at all like the canned pumpkin you can buy in the store, fresh pumpkin puree is the color of butternut or acorn squash. 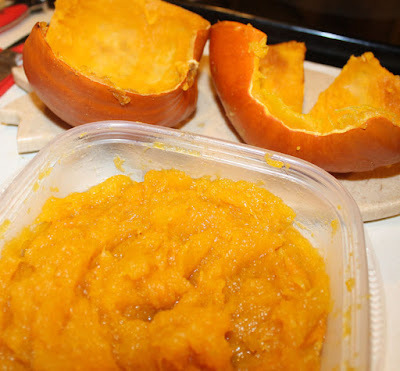 The darkening of the pumpkin puree happens when the spices are added to it. Every Fall I like to buy some small to medium-sized baking pumpkins from the Kershaw County Farmer's Market and cook them for the fresh puree. I also keep the pumpkin seeds to roast as a healthy snack, which my grandsons love. 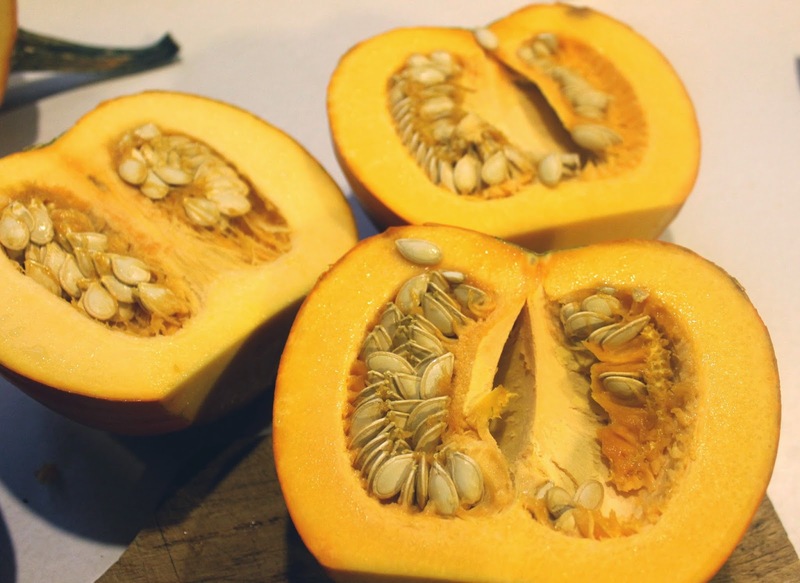 Pumpkin is a storehouse of many anti-oxidant vitamins such as vitamin-A, vitamin-C and vitamin-E. With 7384 mg per 100 g, it is one of the vegetables in the Cucurbitaceae family featuring highest levels of vitamin-A, providing about 246% of RDA. Vitamin A is a powerful natural anti-oxidant and is required by the body for maintaining the integrity of skin and mucus membranes. It is also an essential vitamin for good visual sight. Research studies suggest that natural foods rich in vitamin A help a body protects against lung and oral cavity cancers. Preheat oven to 350 degrees. 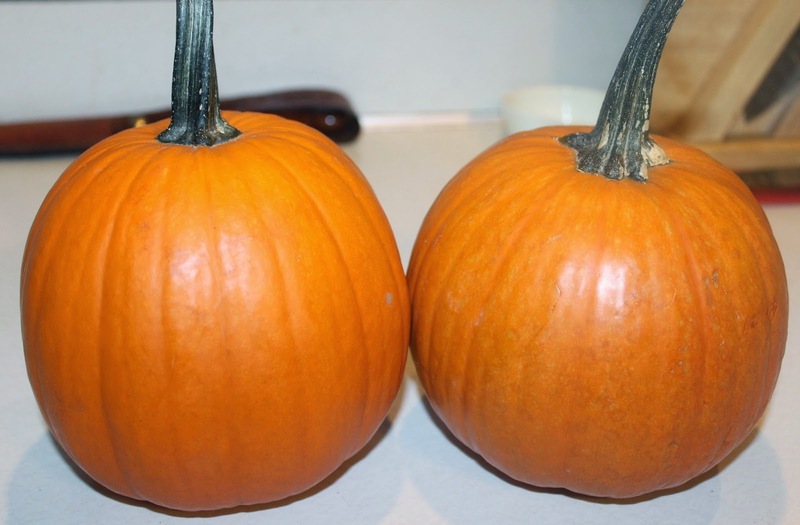 Cut tops from pumpkins and split each one in half. 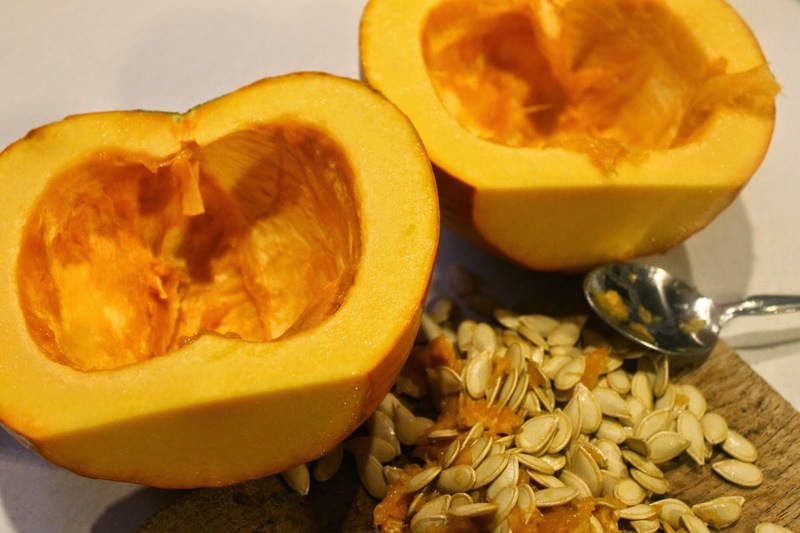 Scoop out seeds, reserving seeds to roast if desired. Spray a large rimmed baking sheet with cooking spray. 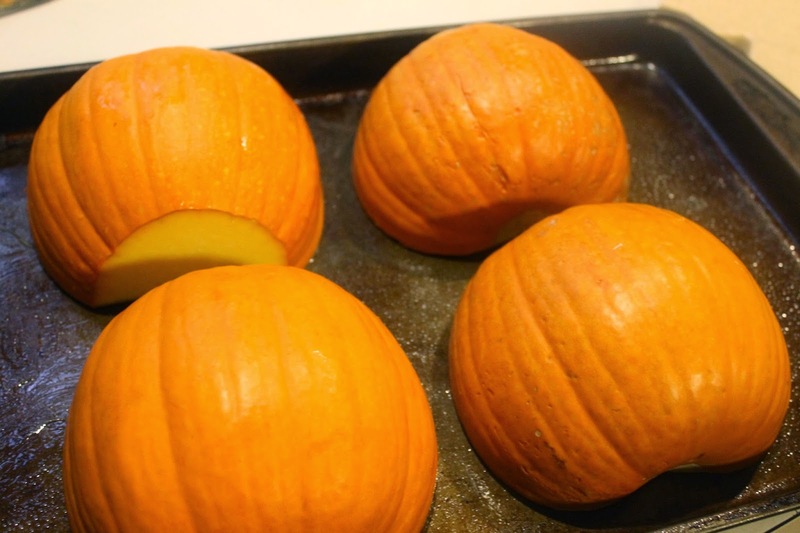 Place pumpkins cut side down on baking sheet. Pour 1/2 cup water onto baking sheet and place in the oven. Roast pumpkins approx. 30 minutes, or until the outer rind is soft and a cooking fork pierces it easily. Remove from oven. Using a large spatula, remove pumpkins from baking sheet and turn over to cool. Once cool enough to handle, scrape the baked pumpkin puree from the rind; discard rind. 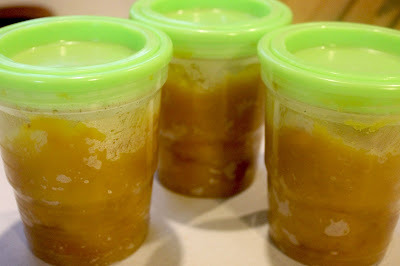 If using immediately, store pumpkin puree in the refrigerator several days or up to one week. For long-term storage, place 2 cups pumpkin puree into small freezer containers and freeze. Keeps well for 6-8 months. Use fresh pumpkin puree in place of plain canned pumpkin in your favorite recipes.